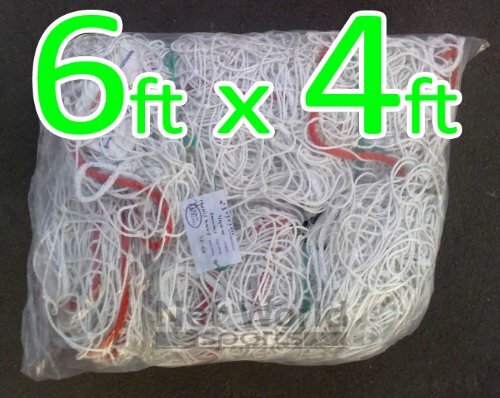 Choice of Single or Pair (see drop down menu) of 6ft x 4ft Soccer Goal Nets in white. Kids size net. Ideal for home made goals and will fit almost all existing 6x4 soccer goals. This is 63ply heavy duty grade soccer netting (this is designed to withstand harder shots than the economy grade).